The League of Arab States (LAS) has honored the late HRH Prince Talal Bin Abdul Aziz, ACCD's Founder, at the headquarters of the General Secretariat of LAS. HRH Prince Abdul Aziz Bin Talal Bin Abdul Aziz, ACCD's President, has received the honor from H.E. Ahmed Abu EL-Gheit the Secretary General of LAS. LAS's honor to the late Prince Talal Bin Abdul Aziz stems from the noble role of His Highness in supporting children's rights and the advancement of their status in the countries of the region during the past decades. 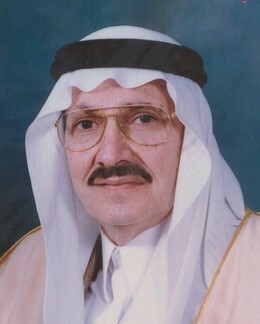 The efforts of the late Prince Talal were reflected in the establishment of higher councils and national committees for childhood in the Arab countries. In addition, Prince Talal has initiated establishing a number of developmental organizations concerned with childhood issues, notably the Arab Council for Childhood and Development (ACCD) and the Arab Gulf Programme for Development (AGFUND).